22 posts categorized "The Energy Collective"
We need more wind coverage! Please consider covering this topic in your blog, and do reach out to me if you know anyone who writes about wind and would be a good blogger candidate for TEC. We're also looking for more market news on the cleantech sector. I was flipping channels the other day and ran into A Mighty Wind. I've seen it several times before but I wanted to see the scene where the actress from Glee tells the story of how she ended up in the band. I saw that scene, and it was great, and then kept watching. I couldn't change the channel! That is one awesome movie. I highly recommend it. I bet a lot of other economist bloggers have seen the movie. You should consider joining The Energy Collective! 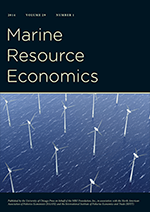 "Is 'environmental economics' an oxymoron after all?" Despite all the talk about environmentalists and economists needing to join forces, there’s one underlying, deeply inconvenient truth: Environmentalists and economists often see the world from two entirely different points of view. I'd add a link to my take on the oxymoron question but The Energy Collective deleted all of my "exclusive" posts. The Energy Collective took down all my "exclusive" posts! During 2009 I worked on the blogger board for The Energy Collective. Part of the job was to produce an exclusive post each month. I managed that fine, but failed in other aspects, I suppose, so I got canned. That's fine, but why would they now take down all of my exclusive posts (try clicking on the posts at the above link)? Answer: they think they are crap? Imagine my surprise when I woke up this morning and found about 10 inches of snow! ... no effective climate policy can ignore nuclear power. Read the whole dang thing here: When a coal state goes nuclear. (And read the comments if you'd like to see me ripped for my recognition of benefits and costs). In response to my Avent/Krugman/Gayer post the other day and the subsequent comments, a post on energy efficiency investments wrote itself (you can find it at Energy Collective). The summary: Gayer's original piece makes sense and is being misinterpreted by the critics. He is not saying energy efficiency investments don't make sense from a social point of view. He is saying that the casual claim of negative net costs is not quite right. To illustrate this I extend the sidewalk dollar bill analogy to a more complicated transaction focusing on the discount rate. So, I think the criticism made by Avent and Krugman is a bit unfair. It seems that all three players in the spat reach the same conclusion about the economics of climate change: that government action is necessary to provide incentives to firms to adopt energy efficiency investments. The best government action could be cap-and-trade or a carbon tax. I’m always surprised at the intensity of the debate among economists who basically agree over their disagreements about the minutiae of the issue. And with that, I wish you a happy new year! 2009 was a watershed year for TheEnergyCollective, in which we broke from our small-but-lively-with-great-contributors status to something, well, more substantive, more newsworthy and definitely more popular. The year saw our number of annual visitors climb from under 30,000 to over 250,000, and we delivered over 4M page views. Wow, that is fantastic growth (env-econ.net gets about 30,000 annual visitors). Congrats! If you are tired of all of the nonsense about the recent climate nonsense (SuperFreakonomics, Climategate) and want to read something reasonable about climate change economics, try the latest CBO Economic and Budget Issue Brief [PDF] titled “The Costs of Reducing Greenhouse-Gas Emissions.” If you aren’t into 12 pages of summary of economic models here is a summary on the CBO Director’s Blog. Or, you can read this post for my summary of the summary. … would change people’s behavior (a lot). … is cheaper than command-and-control. … revenues don’t much matter (in terms of #1). … would lower overall economic activity (a little). Read the whole dang thing for some explanation of 1-5 (as if you haven't heard it before around here). I admit that I’m torn in my opinion about SuperFreakonomics. I was predisposed to fully embrace it. The first book, Freakonomics, did great things for the economics profession. It made economics interesting and readable. It broadened the scope of the field in the mind of the public. Plus, Dubner is a graduate of Appalachian State University. He came to campus, gave the opening convocation talk, I went to his public reading, met him and he sent my kids a free copy of his Belly Button book. I’ve also contributed at the Freakonomics blog. So, I was horrified to hear that they got the science in their climate change chapter all wrong. Don’t be mistaken. I don’t know if it is all wrong or not. I’m a simple economist. But it seems that real-life climate scientists, and not just the advocates, think that it is really, really wrong as well. The problem, to me, is that Dubner and Levitt stepped a bit too far outside their realm of economics. I wish SuperFreakonomics had stuck to economics. In the middle I tell a fish story. With $4 billion of the 2009 American Recovery and Reinvestment Act designated for the “Smart Grid,” or modernization of the nation’s electrical transmission systems, investment has accelerated at a feverish pace in viable projects initiated by utilities, research facilities, and technology companies. The Smart Grid represents more than a commercial opportunity. It will make possible more efficient and lower cost delivery of power, better informed customers, smart appliances, distributed energy, electric cars and a host of other innovations yet to be invented.